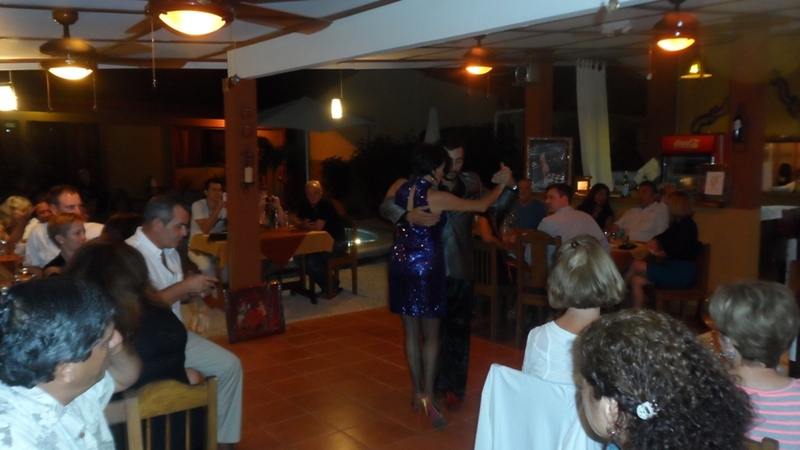 Tango is not traditional in Costa Rica, except at our local Argentine restaurant: El Colibri. while we dined on seared Tuna and Bife de Chorizo grilled over a wood fire. A sparkling evening in an otherwise quiet little town. Looks awesome! Was this a private event? Would love to see it sometime. No. It was public. I just saw one advert and then it filled up pretty quickly. I hope they’ll do it again.